Sorry for the delay in getting this release out. Things got a little busy in my life as we welcomed our new boy into the world. Between some sleep and good family time I’ve been working on getting the ‘Retweet as author’ feature working, and here, in 2.2.7 Beta 1 it is ready for some testing. Once on their profile, if they have the author capability, they can connect Post Promoter Pro with their Twitter account. 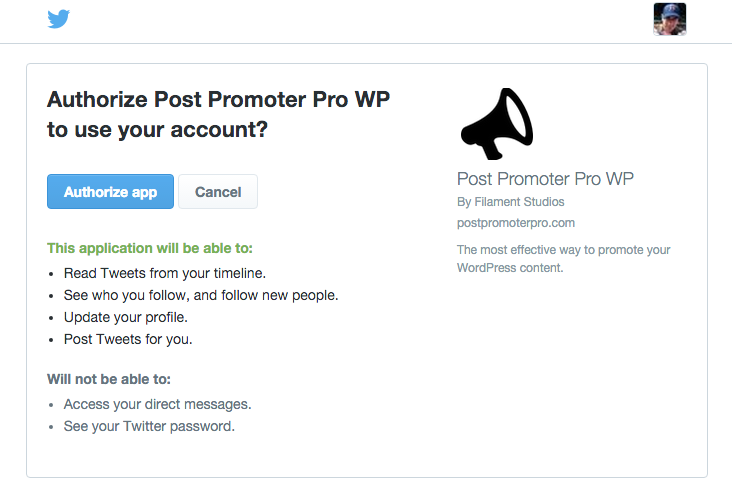 After clicking to Sign in with Twitter, they’ll be asked to Authorize Post Promoter Pro. After authorizing Post Promoter Pro, the author will be redirected back to their profile where they can choose a few options. The author has 2 options they can enabled, to have the initial Tweet on Publish to be Retweeted, and to have any scheduled Tweets retweeted. This only affects Tweets of which are sharing a blog post they are an author of. 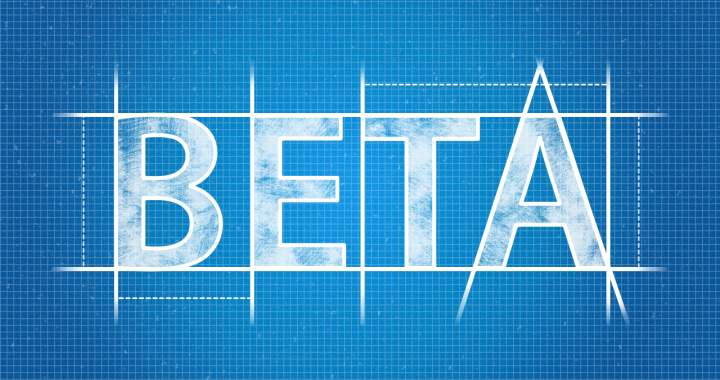 License key holders can get this beta from within their ‘Account‘ page. Instructions on installing the beta are listed there. If you run into any issues you can use the Support page to contact me.